Thanks to the technological prowess in the west, Africa does not seem to be capable of doing things that can make the world go wow… That’s not all true though. Just like the Asians and other races are known for something phenomenal, so also is the African race. We are all contributing to the shape and definition of the world. Due to the encounter with the imperialist, it is assumed we had nothing that is good to boast of, thank goodness certain evidence are speaking for themselves; at least we were living and communicating with each other before they came. We had civilizations that attracted the rest of the world to Africa. I suppose that was how they got to know about what they could have as benefits if they had us colonized. As expected, when two cultures meet and later part, both cultures definitely take something away from each culture. In that vein, this article is about asserting that Africa has always been an important part of world history. There are cultural wonders that are attributed to other people but probably were originated in Africa. Accepting that human race possibly started from here is still a hard pill for some to swallow, irrespective of existing evidence. Obviously we did not only lose people to slavery, we lost a lot of cultural marvels with it. These cultural prodigies were exported out of Africa, and now, other people are commended for it. Once you hear martial arts, your mind goes straight to Asia, probably a mental picture of Bruce Lee, or Jackie Chan. If you believe that Egypt was once a center of world civilization and a largely significant one at that, then it’s not impossible that martial arts was part of the physical fitness routines, basically for the art of self-defense, entertainment or just sports. As far back as 3400 BC, there were already ancient Egyptian Paintings (hieroglyphics) depicting the existence of martial arts in the system. Same depictions were found on tombs that dated back as 4000 BC. Another investigation throws light on the possibility of Ethiopia being the original owners of the phenomenon; it is thought that they introduced it to Egypt as far back as 8000 BC. A Korean karate master, Masutatsu Oyama, authenticates this claim in his book, Advanced Karate, when he says: ”The oldest records we have concerns unarmed combat on hieroglyphics from the Egyptian pyramids.” He was definitely wrong about finding his proof on the pyramids. The real proof is seen on an Egyptian tomb, where depictions of military training and certain sports activities are found, dating back to 4000 B.C. Still from the implied meaning of the hieroglyphics found on tombs of Kings and royalties in Egypt, it was seen that Egypt was already known for organizing athletic events at that time such as: javelin, ball games, swimming, shooting and fishing. Comparing it with the Greek 776 BC history of the Olympics, makes it evidently clear that the idea of organized games and sports, probably came from Africa. It makes sense that Africa would organize something like this because they sternly believe in the physical strength of a person. 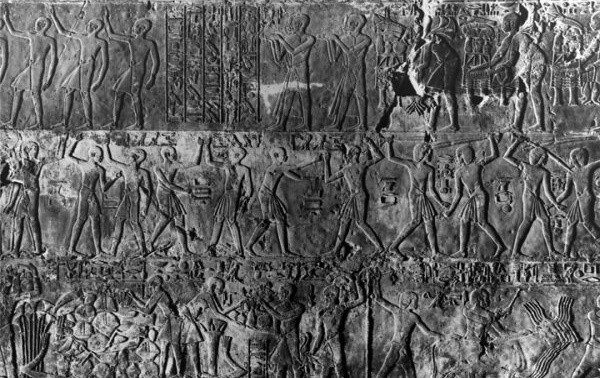 A 2000 BC proof of the possible first ever organized sporting events exists at the Monuments to the pharaohs found at Beni Hasan, Egypt. You would also find the Libyan Rock arts depicting archery and swimming, interesting in this regard. In 1944, Dr. Muata Ashby advocated for the recognition of his research on the Origin of Yoga from Africa – North Africa and Egypt to be precise. He asserts that it was a practice that has probably lasted for over 100, 000 years during the Egyptian civilization. The Yoga posture might have a semblance of the typical Egyptian culture. Today Yoga has a lot of historical tales but it’s more attributed to the Indian Sanskrit culture. Postures of past Egyptian stone arts might be a positive pointer to the claims of the Yoga African origin. 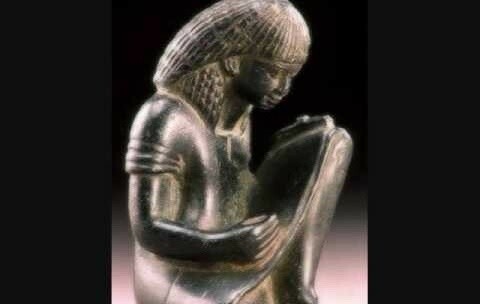 Yoga was a part of the Egyptian Kemetic spirituality. This is the belief system in one God. Africa did not learn this style from the coming of the white man and Christianity, we have always been monotheists by religion. The core believers of the African Traditional Religion will attest to the fact that they only serve one supreme being. This they do through the implored solicitation of priests, deities and the ancestors. Just like in Christianity, Islam and Judaism which are strictly known for monotheism, Africans are also believers of one supreme being. The almighty chess game; glorified for enhancing mental alertness, though not certain where it originated from, is highly attributed to the Chinese and Indians during the Gupta empire. Then, it was later modified in southern Europe. However there is an argument stemming from the semblance of the chess game to a number of games played in the same way in the ancient Egyptian civilization- the Senat and the Mancala, both of which were found in the royal burial chamber of Tutankhamen, who reigned from 1348-1339 B.C. Both games were also played by the movement of objects or markers (with implied meanings) over a game board. Just like the chess is played, the idea is to capture all of the opponent’s pieces by hindering his movements. Still pointing to the African society, the popular European medieval game played in the same manner was found engraved in the slabs of an Egyptian temple dating back to 1400 BC. Without any disregard to the genuine findings in African history, a conclusively authentic origin of the chess game might still be a puzzle, it is rather safer to say that as a matter of coincidence, the game existed in many different areas, at different times but a certain group modernized and popularized it.